This is my third fair isle project. However, it’s my first fair isle sock and it certainly is challenging. Two things, the sock weight yarn and the colors I chose. Knitting with two hands is awkward enough. Throw in knitting English style, with thin yarn and this continental knitter really struggles. 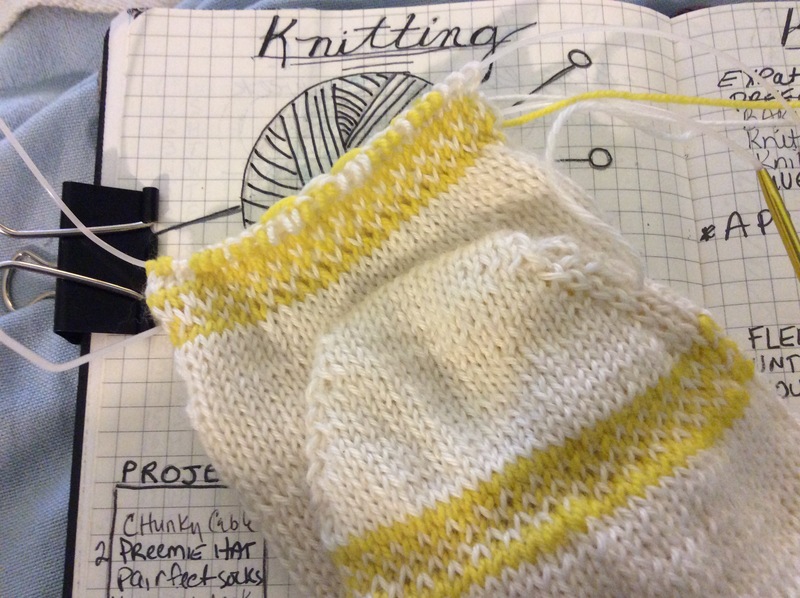 I wanted to use my yellow Knit Picks stroll yarn. I love yellow and white. Although, I think it may be a bit too subtle. I’m having a difficult time telling the yellow from the white. My next may be blue and white. 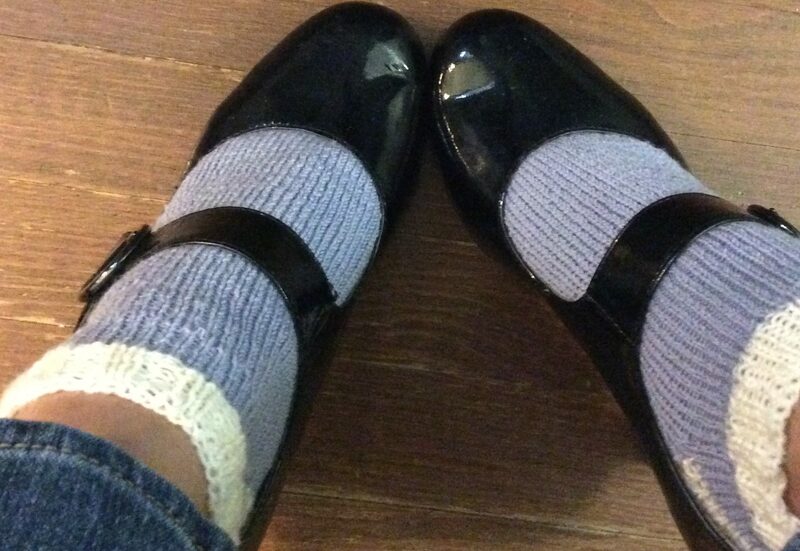 This photo if from Candice Dewitt’s Ravelry page. 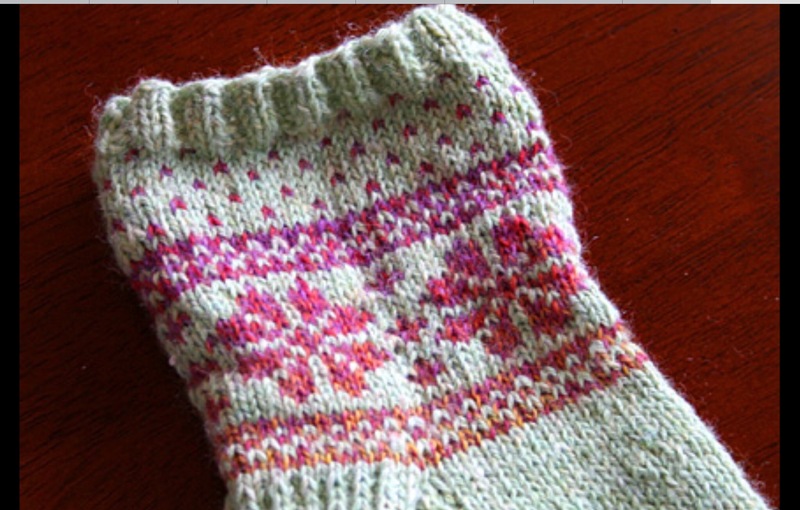 The pattern is fair isle flower sock by Candice Dewitt.